Not bad for a guy who has been in Pullman for six months. Good morning. In what has been something of a storybook season for WSU, star quarterback Gardner Minshew II continues to gain some national recognition. A few days after Minshew II was recognized as Pac-12 Offensive Player of the Year, as well as the Unitas Golden Arm Award recipient, we learned that he finished fifth in the Heisman Trophy vote. While Minshew II didn’t finish among the top three in any of the Heisman’s six voting regions, he did garner six first-place votes, two more than fourth-place finisher Will Grier. Minshew II finished just a hair behind Grier for fourth (126-122) largely because Grier collected six more third-place votes. 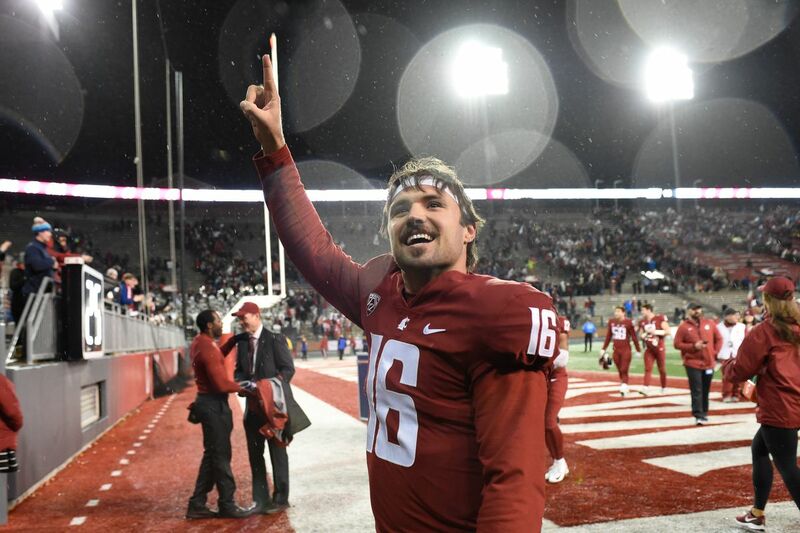 According to the Spokesman Review, Minshew II’s fifth-place finish is the second-highest ever among Cougar players, behind only Ryan Leaf’s third-place finish during the 1997 Rose Bowl year. Minshew II had been garnering top three consideration as the season progressed, and one can’t help but wonder whether he’d have been in New York with the other three finalists if the Apple Cup hadn’t gone the way it did. He didn’t stand a chance of cracking the top two, but it would have been pretty cool to see him among the finalists. Let’s hope Minshew II puts on a show one last time in the Alamo Bowl, and shows that the Apple Cup was a mere aberration. In a season that’s been jammed with personal milestones, a fifth-place finish in Heisman Trophy voting is the latest one for Washington State quarterback Gardner Minshew. Buckle up and remember to watch the Alamo. Washington State has a weird way of turtling in bowl games lately, and Iowa State has an impressive way of bring games down to its level. Alamo Bowl: Iowa State's staggering journey from Big 12 afterthought to its best bowl ever It’s staggering, really, to think that a program that laid a Big 12 goose egg in 2014 was suddenly the conference's first pick after automatic bids were handed out. The Cougars return to the Toyota Center after defeating Central Washington there in 2016-17. I was at the local beer store on Thanksgiving Day, and was chatting with the owner about the holiday season. He told me that there’s a tradition in Germany, and much of Europe, around St. Nicholas Day, which falls on December 6. 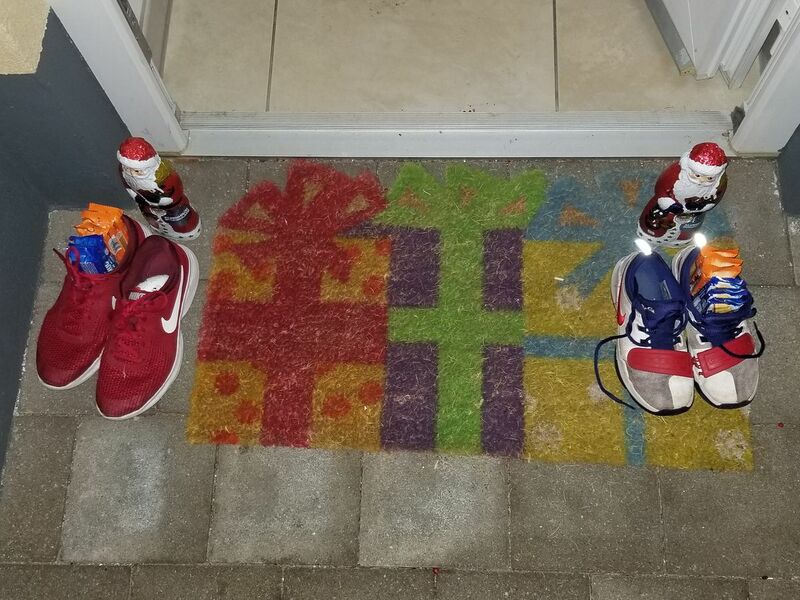 Apparently the kids put their shoes outside overnight, and old St. Nick fills them with candy. I’d never heard of this, but of course the kids were within earshot, so there was no getting out of it. Then, like most things, I completely forgot about it roughly five minutes later. Luckily Mrs. Kendall was aware of it, and had everything prepared. And it’s a good thing, because God knows that if there’s one thing these kids need, it’s more damn candy. This is actually a life in Europe kind of thing. I attended a three-day NATO conference this week, and as you could guess, there are folks from all kinds of European countries who work there. You can tell it’s a NATO deal because it starts at 9am, ends at 3pm, and contains two “coffee breaks” that last 30 damn minutes. As I was wandering around the NATO building during one of these interminable breaks, the French contingent opened a booth and started selling cheese, replete with samples. As you could probably guess, it was really good. So despite the fact that I didn’t get a lot out of the three-day affair, I was able to take home some outstanding dairy products. I can only hope that there’s an upcoming conference where the Belgians open up a booth and sell beer. tl;dr long live NATO. Best beer I had this week: The beer Advent calendar concept is pretty fun, but I haven’t exactly been blown away by the offerings thus far. Despite that, Mikkeller’s Spontan Hibiscus was quite good, with just the right amount of tart. Regarding the article, this has always been my problem. There are hundreds of beers that I love, and that I know are good, but I always seem to be looking for what else is out there. I don’t understand it. Craft brewers race toward weekly can releases to sate a beer community focused more on what's new than what's good. Explore the rise of ticker culture in craft beer, and how it could hurt both consumers and the industry. On a Missouri farm, two families worked the land side by side, until a 1990 murder shattered their American dream. The quest to find the killer tore the families and their community apart. Kyle Smith’s plan to rebuild WSU basketball? Start by finding some nerds The new WSU coach will use a blend of traditional scouting and analytics to construct the next winner in Pullman. HCA: Kassidy Woods making the most of his shot so far The redshirt freshman has taken to his new inside receiver position. Recruits flooding Pullman for WSU’s Crimson and Gray game A 5-star recruit from Seattle highlights an exceptional group of unofficial visitors.